Learning from each other and forming their own code of ethics, The Magnificent Seven vow to defeat the outlaws of the West and gain the respect of the common folk. 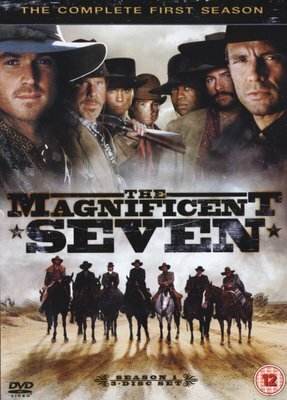 The seven men include their embittered leader, a former gun-for-hire seeking redemption; a sharpshooter and bounty hunter; a former slave who becomes a healer; a young and cocky Eastern-bred idealist; a smooth-talking con-artist; a womanizing gunslinger; and a former priest turned eccentric prophet. With each episode, their legend grows through their heroic deeds of friendship, loyalty and justice.